Ready for a modern twist on an ancient theme? Care to add a twist of lime to that? 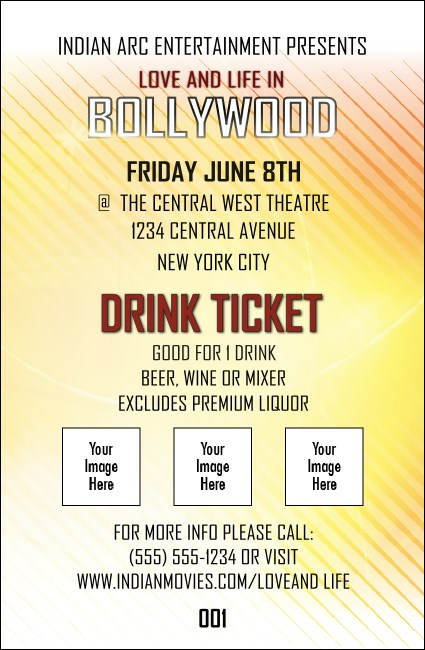 Fortify your film festival with the refreshing look of the Bollywood Drink Ticket, a smart way to simplify drink sales at your upcoming event, or modify the wording and use it to streamline your entire concession operation. TicketPrinting.com helps you offer a taste of Mother India!